Thank you for visiting Sundance Boat Sales. Whether you are a first-time or experienced boater, or planning to buy, sell or trade your vessel, we can assist you. First-time buyers and experienced boaters appreciate our expansive industry and technical knowledge. We offer a courteous, personalized and no-pressure approach to our comprehensive brokerage services. Our staff has many years of experience selling boats of all sizes and types. 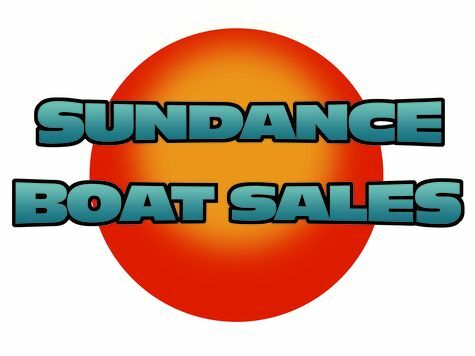 Everyone involved in Sundance Boat Sales is a seasoned boat owner with extensive knowledge in all aspects of the “boating world” and we are well respected in the marine industry. We have helped hundreds of people through the challenges of buying and selling their boat. Our goal is to make purchasing or selling a boat a pleasant and hassle-free experience. While you are visiting our site, please take time to look at some of the boats we have for sale and call us today for more information. The sleek styling of the 340 Sundancer conceals an interior that seems remarkably spacious for a 34 foot boat. The cabin is well lit with seven ports and overhead hatches, and the upscale décor is accented with rich cherry cabinets and earth tone fabrics and upholstery. The layout of the Sundancer has a pedestal berth forward and convertible settees in the salon and mid cabin area. Semicircular lounge seating is aft in the cockpit with a wet bar to port and a double Captains seat forward with a companion seat to port. This inboard boat powered by twin inboard freshwater cooled Mercruiser 8.1 MPI's has been extremely well cared for and the owners have not been stingy when it comes to spending money on keeping the boat in first class condition. Most recently the boat has had all new canvas, with the bars extended off the radar arch aft for more cover, new Marine Teak Cream carpet in the cockpit and new Marine Teak Cream carpet (solid color) in the cabin. As an additional added expense risers and manifolds were replaced on both engines. She is an extremely well cared for boat and upon your visit you will appreciate the owners dedication to maintaining a fine looking vessel.